The Madras High Court has ordered that water from the river Tamirabarani in Tamil Nadu must not be diverted to Coca-Cola and Pepsi producing plants in Gangaikondan due to the severe water shortages in the area. The court passed the interim injunction disallowing river water to the bottling plants for 2 months on November 21, 2016. The order was obtained by India Resource Center this week. 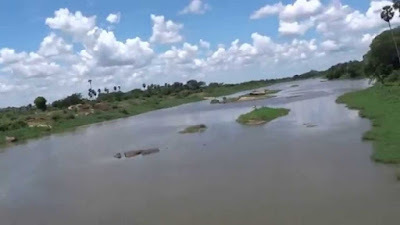 The court order came following a public interest litigation filed by the Federation of Consumer Organisation - Tamilnadu & Pondicherry (FEDCOT), a statewide consumer organization, which had sought to stop the use of river water for production of Coca-Cola and Pepsi product because water scarcity has diminished both drinking water as well as water for irrigation in the area. Activists campaigning against the top soft drink giants say the high court order is a major setback for Coca-Cola and PepsiCo in India and signals the emergence of new challenges the companies will face even when using surface water. “So far, both Coca-Cola and PepsiCo have faced significant setbacks for using groundwater, including plant closures, denial of licenses for operating new plants, restrictions on the amount of groundwater used, and more stringent regulations on groundwater usage”, the India Resource Centre, an international campaign organization, said in a statement. “As a result of the widespread campaigns against Coca-Cola and PepsiCo for their mismanagement of groundwater resources, both companies planned to increase reliance on surface water for their bottling plants”, the statement said. In April 2015, Coca-Cola’s plans to set up a new bottling plant in Erode using water from river Cauvery was rejected by the state government due to community opposition.Dr DA. Prabakar, chairman of FEDCOT, led the legal efforts. 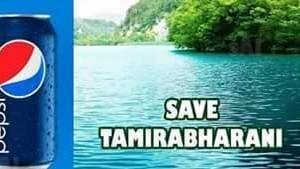 It plans to a public awareness campaign among the banks of river Tamirabarani against the soft drink giants. The India Resource Center, which has backed efforts of communities India to stop bottling operations in water stressed areas, forcing the beverage industry to become more water efficient in its operations in India and internationally, says, even today, the beverage companies operate in water stressed areas, prioritizing proximity to markets over availability of water and hardships caused to the community. Its campaign has called for an end to all bottling operations in water stressed areas – regardless of whether groundwater or surface water is used. “As long as Coca-Cola and Pepsi continue to operate in water stressed areas in India, they will continue to face opposition from the community and farmers. We need to ensure adequate water for drinking, which is a fundamental human right, as well as for farming which is the source of livelihood for most Indians, before water can be diverted for unnecessary and unhealthy products such as Coca-Cola and Pepsi,” said Amit Srivastava of the India Resource Center.